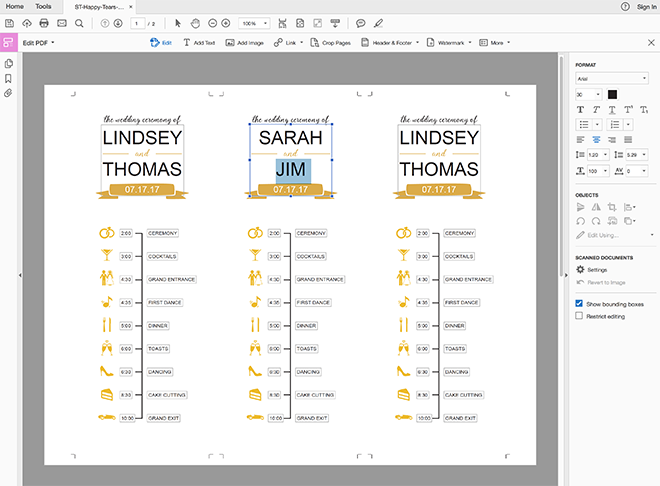 Edit + Print This FREE, Darling Wedding Timeline Program! 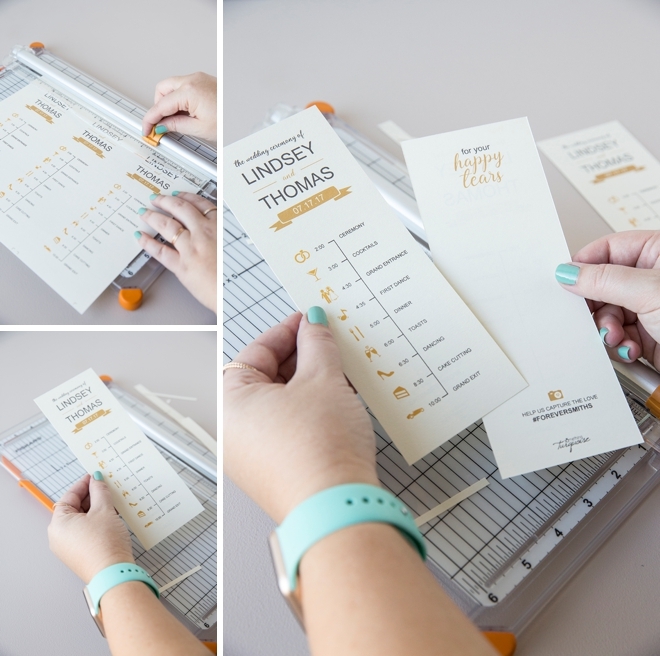 As a wedding guest, I absolutely love receiving a timeline style program. Maybe that’s just the planner in me, but I’m sure a lot of you feel the same. It clues you into the special festivities ahead and gives you elements to look forward to. 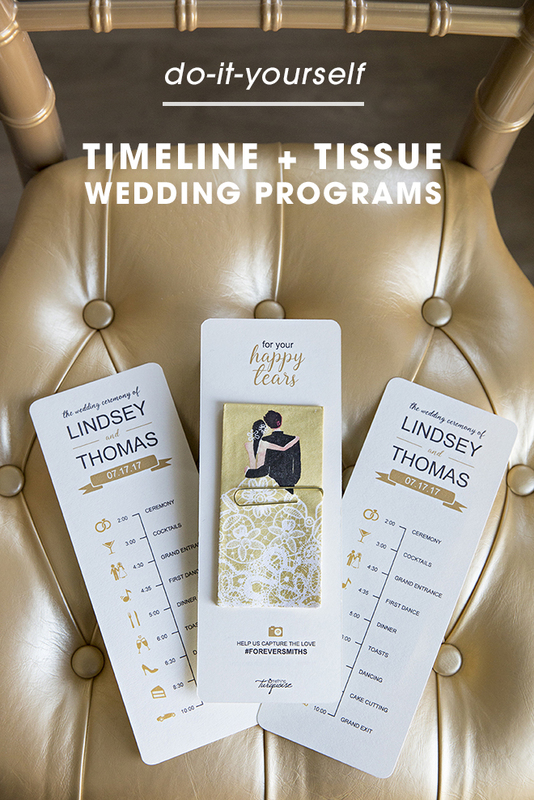 Today’s DIY Timeline + Tissue Wedding Programs project goes a step further, because just like the name says, each one has a tissue! Adorable right? Download, edit and print our file for free using your favorite Canon printer, like my trusty PIXMA iP8720. 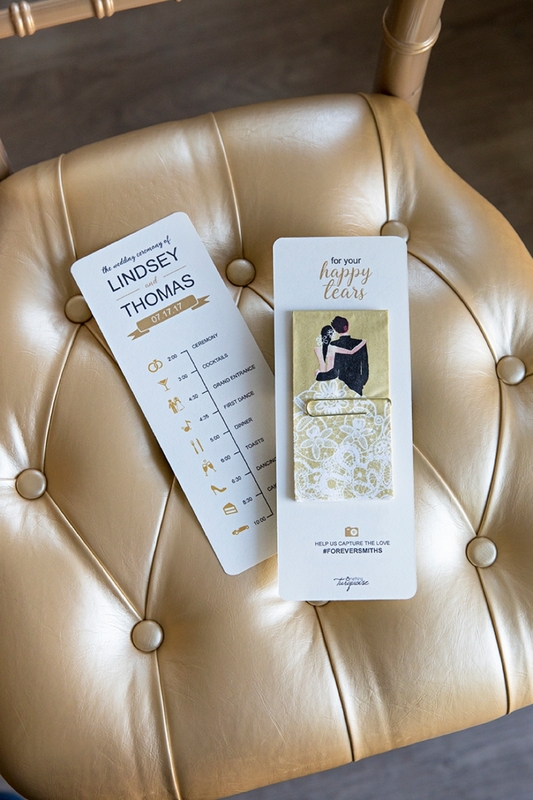 Embellish our simple design with the pale paper color of your choice, a corner punch, and themed tissues to fit your unique soirée! You’re going to need to bust out your tech-savvy skills for this project. Download your choice of gold or red file at the end of the post and open using Adobe Acrobat or Reader and click “edit” file. Then double click on each box to update it with your wedding information. Keep in mind, older versions of these programs won’t edit these files as easily. The font we used is Arial, so no need to download anything special. Make sure to save your version and get ready to print! 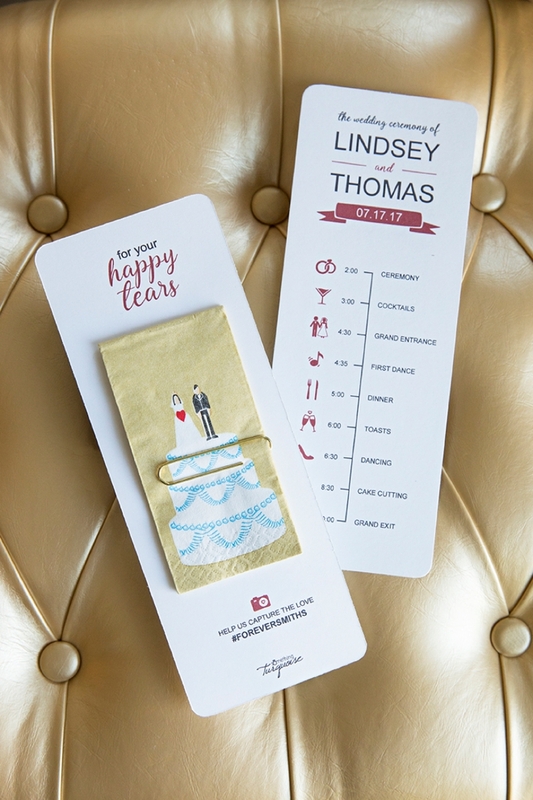 Using your home printer, print the timeline design on the front and then reload the printer to print the happy tears design on the backside. 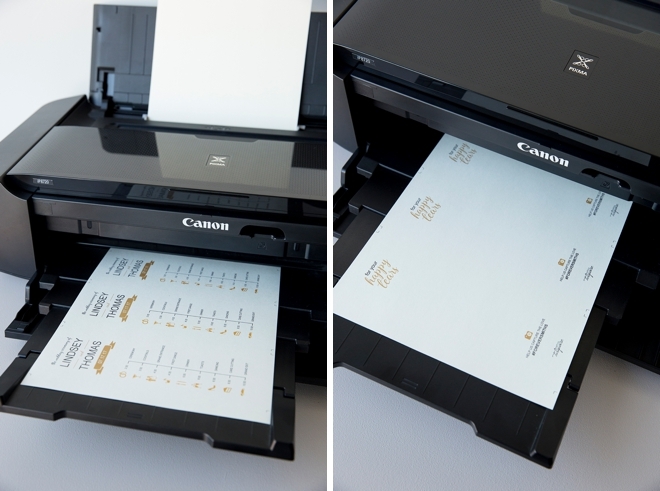 As you might have heard, my Canon iP8720 is my go-to printer of choice. 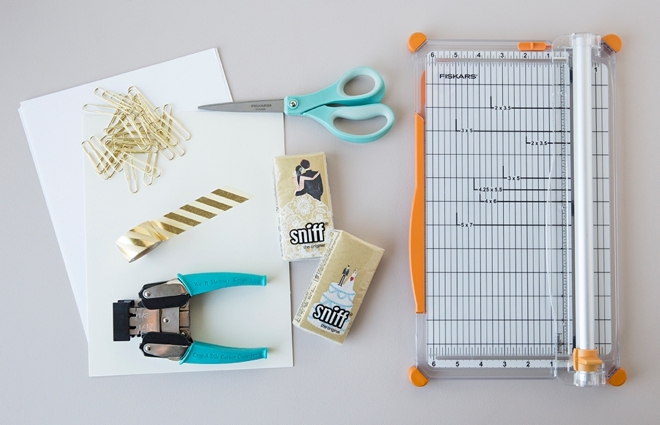 It can print from 4×6 all the way up to 13×19, including 12×12 scrapbooking paper! My dream come true. 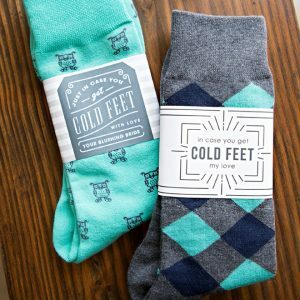 The fine detail and amazing color range is what makes all our printed projects look fabulous! There are 3, 3″ x 8″ program designs on each 8.5″ x 11″ paper; trim each one down to size following the crop lines provided. I’m obsessed with this. 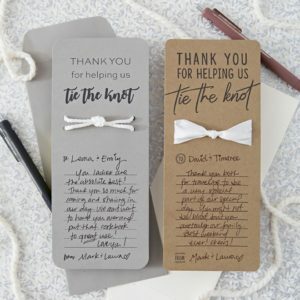 Using a jumbo gold paper clip and a piece of washi tape, tape a paper clip to the back of each program and insert a cute, themed wedding tissue! 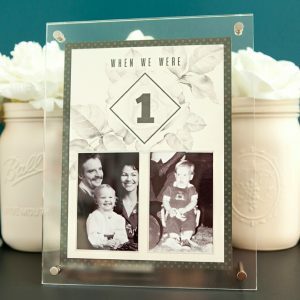 Your guests will go crazy for this and the cryers will surely thank you! 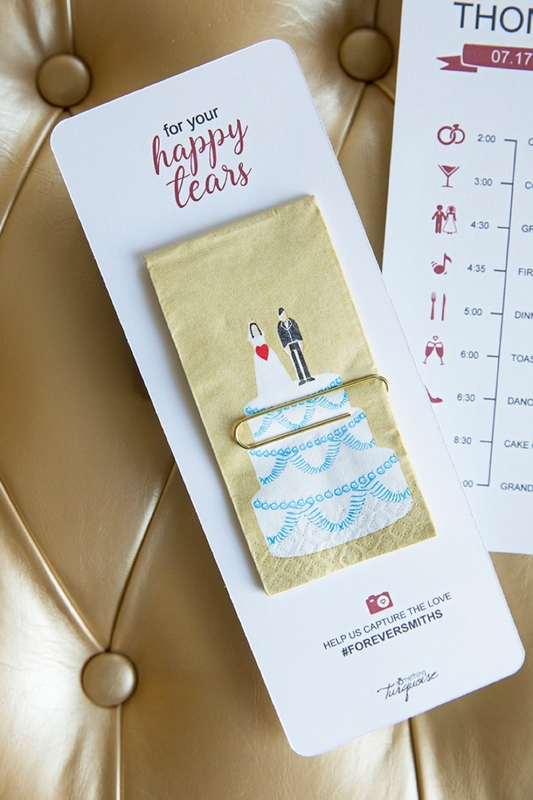 In just 5 quick steps you’ll have created an informative and adorable wedding timeline program! 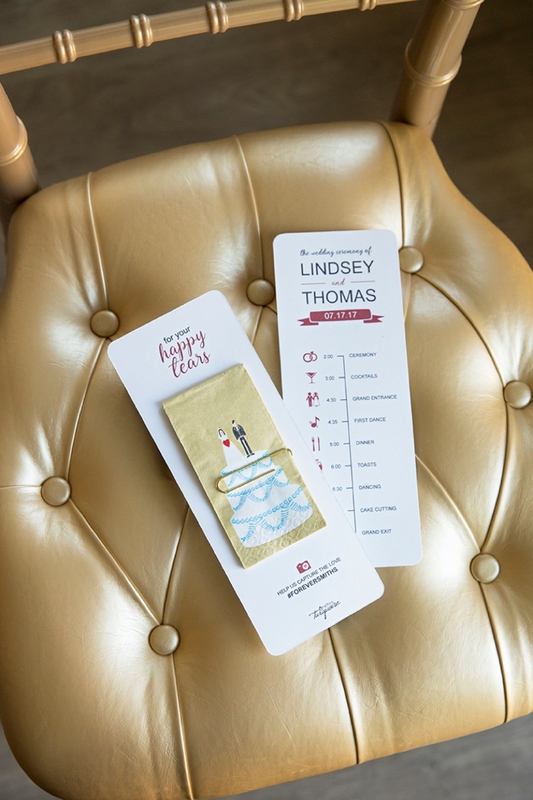 Place a program on each chair at your ceremony or put them in a basket on display for your guests to take as they walk in! 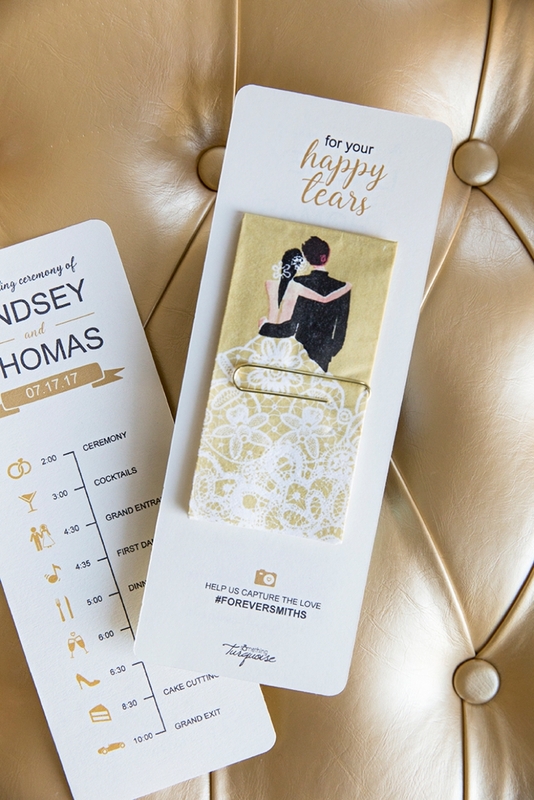 I love this modern bride and groom tissue in gold, but it also comes in silver! Use any themed tissue for this project, wedding or other as there are many different designs available online.